Arsenal produced an impressive comeback from two goals down to draw 2-2 with Napoli in the Emirates Cup on Saturday. 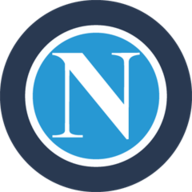 Goals from Lorenzo Insigne and Goran Pandev inside the first half an hour put Napoli two goals up but second-half efforts from Olivier Giroud and Laurent Koscielny evened things up. Arsene Wenger's side were behind after just seven minutes when Carl Jenkinson made a mess of his headed clearance, allowing Italy international Insigne to volley home neatly from close range. Ten minutes later, an Arsenal side that included fit-again Jack Wilshere had a chance to equalise when Kieran Gibbs was felled in the box but Lukas Podolski was unable to beat Pepe Reina from the spot. Insead the Serie A side doubled the lead after 28 minutes when Pandev took the ball round Lukasz Fabianski in the Gunners goal and curled it into the net. While the result in a pre-season friendly might be disregarded by some, Arsenal supporters at the Emirates Stadium seemed to disagree as they booed the team off at the interval. Napoli boss Rafa Benitez was even able to introduce Arsenal's summer target Gonzalo Higuain as a second-half substitute to further sour the mood. But instead there was a positive response from the home team as Giroud produced an overhead kick from Theo Walcott's corner to beat Reina and pull one back for the Gunners. 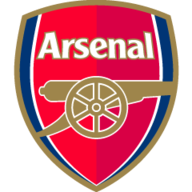 And Arsenal found a late equaliser to earn a share of the points when the impressive Koscielny leapt above his marker to score after Reina had saved from Per Mertesacker. Supporters in the stadium had earlier seen Galatasaray and Porto kick off the four-team tournament with the Turkish side winning 1-0 thanks to a Felipe Melo penalty.